I get asked to provide a BoardBooster review all the time. Mostly because ALL bloggers know that Pinterest is a way to get massive pageviews to your blog quickly. 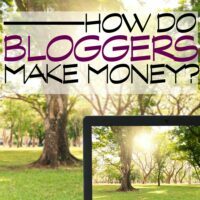 And having massive pageviews is the best way to be able to earn a full-time income from blogging. We’ll cover the basics first in case you don’t understand why this is such a big deal. The best way that I can describe the power of Pinterest is that in every other social media, users are there to connect with other users. Like, you don’t jump onto Facebook to see what brands and blogs are up to. You log on to see who had a baby, who’s getting married, and which crazy cousin is posting political rants. Brands and blogs slip in their messages when they can, but that’s not what the platform is made for. But with Pinterest, the entire purpose of the platform is to connect users to bloggers. That’s it. Virtually every pin is actually a blog post, and millions of users sign on to connect with these bloggers. In fact, users could care less about connecting to friends on Pinterest. Their primary goal is to find new blog posts. 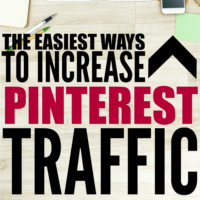 You can get a TON of traffic quickly on Pinterest. I grew from 60k pageviews a month all the way up to 870k pageviews a month in just 18 months. I was able to make a full-time income from blogging within 10 months of starting a blog based solely on the power of Pinterest. In addition to all of that. Pinterest is also the ONLY social media that doesn’t require you to spend a lot of time in it to get results from it. Marketing your content on any other social media platform requires at least some level of babysitting, with one notable exception…. Pinterest. For the past year and a half, I’ve spent 10 hours a week running my Facebook page (or paying someone else to manage it) to get (at best) a measly 30k pageviews from it, whereas I only spend 4 hours a MONTH to run Pinterest (to get almost all of the other pageviews). And the four hours a month is optional. I’ve skipped tons of months without a drop in pageviews. All of that is possible thanks to BoardBooster! Any BoardBooster review is going to point out that Boardbooster is kind of like the Crock Pot of Pinterest. You set it and forget. On Pinterest, instead of having one feed that you post your pins into (like on Facebook), you add your pins to boards. Some boards are yours and some are group boards. A group board is a board owned by another blogger, where that blogger gives you access to his/her board (and followers). As in, I have 70k followers and you have 1,000. If I like your graphics and your topic aligns with my readers, you can apply to be on my group board and I’ll give you access to promote your content to my 60k followers. Yes. Really. And, you can have TONS of group boards. At one point, I had over 40. Because you can pin to all of your boards on different topics as well as group boards, things move FAST in Pinterest! But that’s a good thing! Because of that, you can pin your content over and over again. I spent a year pinning over 100 pins (of my content) a day and instead of hurting my account- it grew like crazy. (*Do not attempt that high of a number unless you know what you’re doing- We’ll get into that in a minute). Can you imagine what would happen if you attempted to post in Facebook 100 times a day of your posts over and over again? Not pretty. But Pinterest thrives on it. BoardBooster Review: How it Works. BoardBooster lets you set up secret boards to pin all of your content to. And you only have to do it once. So, let’s say you have 30 posts about money. You load all 30 pins to a secret board called “money posts for BoardBooster” and then set up BoardBooster. You tell Pinterest to take 1 pin a day from the “Money Posts for BoardBooster” and repin them to 5 of your boards- your personal “frugal” board, and 4 group boards all about money. So a total of 5 pins going out to 5 boards every day. And then you tell it to repeat that every day. So it does. And for the rest of your life, it repins those pins to those boards every single day. When it runs out in 6 days (because with 5 pins a day and only 30 pins in the secret board, you’ll run out in 6 days), it will just start all over again. Giving you pageviews with absolutely zero effort. There’re other pretty cool features like looping, where you can loop old pins and repin them to the top of the board, and campaigns where you can set a single pin to go out over tons of boards on a schedule that you set up. The three services you need to know about if you’re interested in marketing on Pinterest are Ahalogy, Tailwind, and BoardBooster. I’ve never met a professional blogger (that uses Pinterest) that wasn’t using one of those 3. BoardBooster is set apart because it can be completely automated. Which gives you time to write posts, make gains on other platforms (like Facebook- ugh!) or even create products. Starting at $5/month (even when I was getting 870k pageviews a month I was only paying $30/month which is crazy to me! ), it’s the best money you can spend to grow quickly. *I still use Tailwind (free account) just for analytics- I love their analytics plus the daily email. That lets me monitor my growth without even signing into Pinterest. Like any tool, you have to know how to use it in order to benefit the most. I systematically spent 7 months a/b testing everything in order to create a system that worked well for me and exploded my growth. Set up BoardBooster using the basic set-up instructions, then make a small change and monitor the results for which one performed better. Keep doing whatever got the better results and make another small change. Repeat times infinity. While it took FOREVER to figure out the key strategy to grow Pinterest quickly, it was worth it. If you’re short on time and just need a step by step guide to implementing the exact strategy that I used to grow from 60k pageviews a month to over 870k pageviews in 18 months, then you can skip the a/b testing and pick up The Pinterest Strategy Guide. It’s a no-fluff checklist of action steps (with videos to walk you through anything that required tech know how) to get you running in Pinterest as quickly as possible. You’ll need a minimum of 4 hours to implement the system and then 4 hours to run it monthly. That’s it. You can grab the Pinterest Strategy Guide here. BoardBooster is an amazing tool that will save you hours on marketing your blog! Even without the Pinterest Strategy Guide, this is a tool that will save you a ton of time and money. Pro Tip: Don’t ignore the reports tab in BoardBooster. They have some of the best insights into your board performance there. You can grab a free trial of Boardbooster here. If you want to bump it up a notch and implement the exact system that lets me automate Pinterest and still get high pageviews, you can grab The Pinterest Strategy Guide here. 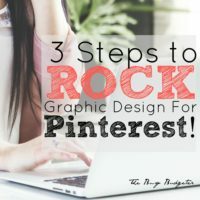 I am working my way through the Pinterest Strategy Guide! I have a question. I recently got all my group boards added to Board Booster. Many of them do not have good repin rates. I have 51 group boards! Should I leave some of the boards? Also, I haven’t been actively pinning this year. 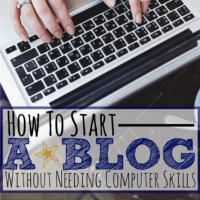 Now that I am getting back into blogging I am wondering how to start. Since I have only been pinning a few pins a day, how many should I schedule through Board Booster to begin with? Thank you so much!! Hi Rosemarie, it was so nice to meet you at FinCon! I recently hopped on board the Boardbooster train and have fallen in love with it. BB + Tailwind are fantastic growth drivers! It took me a while to get on board with BoardBooster but it’s definitely the best $5/month I’m spending (compared to $20 with CoSchedule, where I started). I’m still trying to figure it out but I do like the secret boards. Visiting from Creative Corner party. I love Boardbooster. You really can set it up and walk away for a little while. As a blogger, I’m always surprised to hear fellow bloggers who are not tuned in to Pinterest as they should be. Boardbooster, Tailwind and Viraltag seem to be at the top. I have used Boardbooster with success as well. Good info! Thanks for sharing with us at Merry Monday. Thanks for your post, it’s very helpful. I’ve been using Tailwind for a while but I didn’t know about Boardbooster. I just signed up for a trial account and hope to increase my traffic on my Skin Care boards. 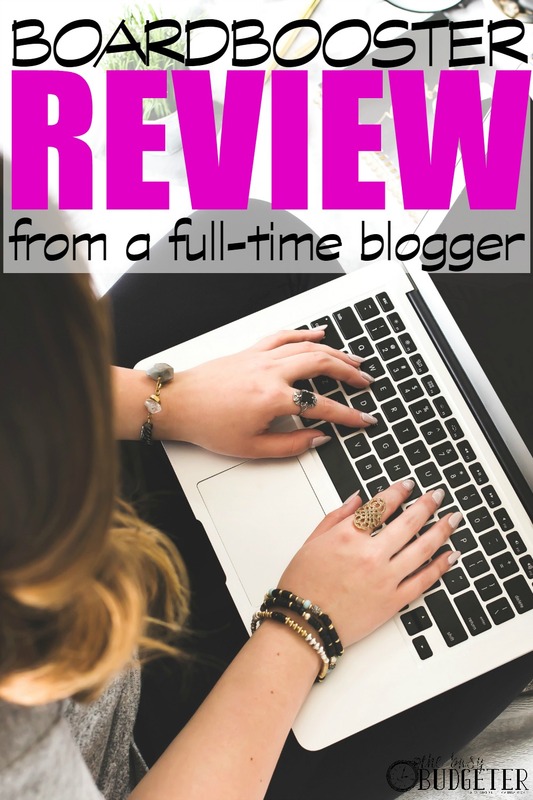 This was such a great, thorough review! Thank you so much for taking the time to write this and explain all that it offers. I have been reading reviews on both Boardbooster and Tailwind and I think you just sold me on Boardbooster. I can’t wait to try it out!